Electromagnets with cylindrical poles can usually be analyzed using electromagnetic simulation software MAGNETO RS model with excellent results for the field in the air gap. Investigating saturation of the yoke may require AMPERES. 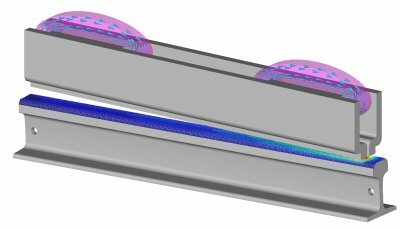 The Boundary Element Method in our CAE software has a particular advantage for this application because of its ability to generate extremely accurate air gap field analyses.